One of the best ways to explore the wilderness of Central Oregon is on the back of a horse. Horseback riding Bend Oregon comes in all shapes and sizes. From 1/2 hour to an hour, for one day to several days, find a horseback riding outfitter here. 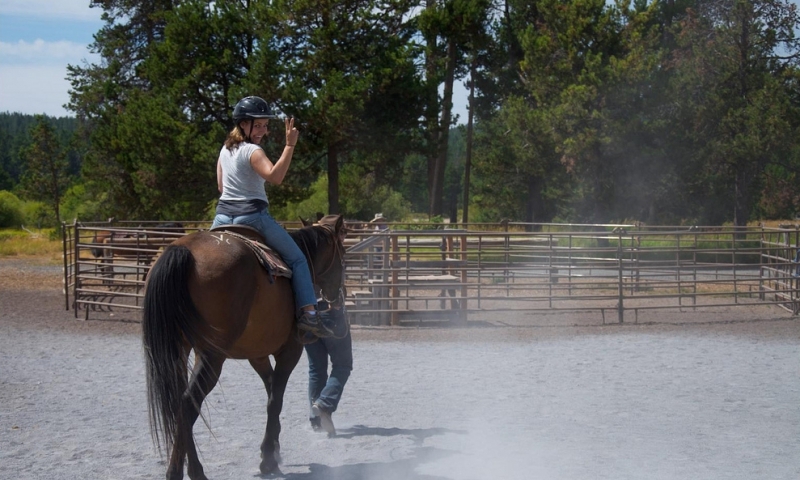 Family-friendly horseback riding in Sisters Oregon. We offer trail rides, lessons and skill development for the whole family. See the backcountry or enjoy our facilities! Pee-wee Rides for the family plus horse camps, ranch camps, private and group riding lessons. Come enjoy our facilities! Guided boat and horse tours around Bend, Oregon! Flyspur Ranch is the place for your adventure. Laid back and luxury resort located around beautiful mountains. Close to hiking and biking and gorgeous rooms!